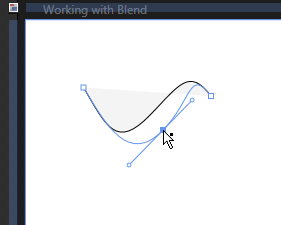 You can modify points in an existing Path object in Blend using the Direct Selection tool. 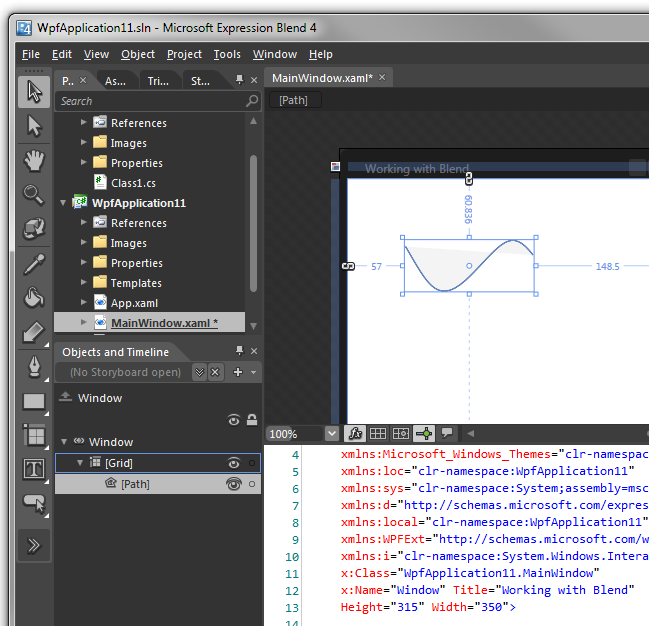 Start by using the Selection tool to select the existing Path. Now select the Direct Selection tool , which then allows you to select individual points in the path. 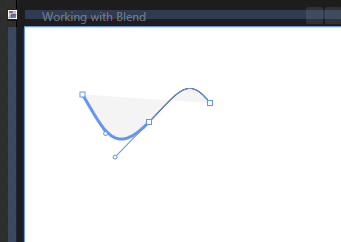 The path object will change to show each individual points as a little square. You can now left-click to select individual points on the path. After selecting a point, you can left-click and drag the point to move it. 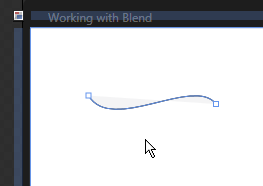 You can also adjust the curved segment on either side of the point by left-clicking and dragging the handle on either side of the point. Finally, you can delete a point entirely by selecting it and pressing the DELETE key.